The appeal stems from a multi-year investigation of a drug trafficking organization in Queens that swept up, among others, defendants Kamel Lambus and Stanley Fuller. While ten other members of the conspiracy pleaded guilty, Lambus and Fuller elected to go to trial, setting up these two evidentiary issues for ruling. See here for a short summary of the 107-page opinion. Our more detailed analysis follow below. The GPS issue arises out of an ankle monitor that Lambus wore as a condition of supervised release following his release from a New York State prison. No federal warrant was ever issued to monitor Lambus’s movements with GPS, but federal law enforcement had access to the data through a joint investigation with state authorities, and ultimately prosecutors sought to introduce the evidence at Lambus’s trial. Lambus was convicted of state drug offenses, and released from prison in March 2012 to a three-year term of supervised release. Upon leaving prison, Lambus signed forms confirming his understanding that his “person, residence and property are subject to search and inspection,” that he would permit his person and property to be searched, and that he would abide by other written conditions imposed by his parole officer. Just a few months into the supervised release term, Lambus’s parole officers began to suspect that he was still involved in drug activity when Lambus sent a letter to another state inmate with a photo showing him posing with “large amounts of cash” and making gang signs. Thomas Scanlon, an investigative parole officer, began surveilling Lambus’s home and purported workplaces. In addition, Lambus also began violating the curfew imposed as a condition of supervised release, and a parole officer received an anonymous email complaining that Lambus was selling drugs. Lambus’s parole officers decided to impose GPS monitoring primarily for curfew violations but also due to suspected drug trafficking. Lambus said he agreed to the ankle monitor only because the alternative was going back to prison. Lambus recalled being told that he would only have the GPS on him for three to six months, but the parole officer who installed the ankle monitor did not recall discussing any time period with Lambus. Officer Scanlon was initially “somewhat negative” on the use of the ankle monitor, which he learned about after the fact, because it could cause Lambus to be more circumspect. Eventually, however, Scanlon found the location data useful to direct his surveillance. Short on resources, Scanlon involved federal law enforcement—first, Homeland Security Investigations, a branch of ICE, and then the DEA—to provide additional manpower and cash for drug buys. State authorities, however, retained shared control of the investigation, and federal authorities only had access to GPS data from Lambus’s ankle monitor when Scanlon shared it. Ultimately, Lambus wore the ankle monitor for more than two years, as Scanlon, as well as federal authorities, were progressing with their investigation. Lambus was never charged with violation of the conditions of his parole. Lambus was arrested on federal charges in July 2015, about a month before the conclusion of his term of supervised release. In pretrial proceedings, Judge Weinstein initially denied the motion to suppress the GPS evidence, though (according to the Second Circuit) he “plainly disapproved” of Lambus being subjected to GPS monitoring for more than two years. Lambus, he said, had been “unwittingly . . . turned into a stalking horse for federal agencies.” Nevertheless, Judge Weinstein initially found suppression unwarranted because coordination between parole officers and law enforcement is generally permitted, and none of the law enforcement officers acted in bad faith. He concluded that two prior Second Circuit decisions, United States v. Reyes, 283 F.3d 446 (2d Cir. 2002), and United States v. Newton, 369 F.3d 659 (2d Cir. 2004), had rejected the “stalking horse” theory as a basis for suppression. Lambus moved for reconsideration, however, and Judge Weinstein changed his decision and suppressed the evidence obtained directly through GPS monitoring based on a finding that the tracking device was installed primarily for use by federal law enforcement, that federal authorities led the investigation and directed the GPS device’s use, that Lambus’ parole officer lost supervisory power, and that Lambus was subject to “open-ended monitoring” that would not have been permitted if a warrant had been sought and obtained. Finally, the district court found no consent to the monitoring or, at most, consent that lasted only a few months. Judge Weinstein conceded that this decision was “pushing the envelope fairly far” under existing Second Circuit law. The Second Circuit began its analysis by noting that there was some question of whether Lambus gave his consent to the GPS monitor and therefore to the search, but set the question to one side because the government conceded the point. 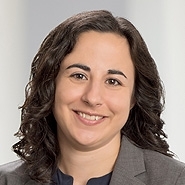 Even so, the Court noted that probationers and parolees have “significantly diminished expectations of privacy,” which affects the reasonableness analysis required by the Fourth Amendment. In particular, under New York law, a parolee’s home can be searched without a warrant so long as the search is reasonably related to the performance of the parole officer carrying the search out. Because parole officers must confirm that a parolee is not committing other crimes, some coordination between parole officers and law enforcement is to be expected, and does not automatically indicate that a search is unrelated to the terms of parole. Applying these principles to Lambus’s case, the Second Circuit first found no indication in the record that federal officers directed or controlled the attachment and continuation of the ankle monitor. The Court disagreed with Judge Weinstein’s conclusion that the monitor was originally imposed solely to monitor Lambus’s adherence to his curfew and that the curfew quickly became a pretext for continued monitoring. To the contrary, both curfew violations and suspected drug dealing—also a violation of the conditions of supervised release—led state authorities to attach the monitor to begin with. Moreover, Scanlon himself remained focused on investigating state parolees and ensuring they did not commit new crimes, and the decision not to return Lambus to prison was made by state officers considering the needs of state law enforcement. The Court also addressed Lambus’s expectation of privacy. The Court had “little doubt” that Lambus felt he had to accept the GPS monitor or be sent back to prison for parole violations. But, “the ‘fact that a [parolee] has to choose between two lawful, albeit distasteful, options does not render that choice coerced’” (quoting United States v. Polly, 630 F.3d 991, 999 (10th Cir. 2011)). Moreover, Lambus signed numerous documents consenting to searches, manifesting his awareness of a diminished expectation of privacy. Finally, the Second Circuit found no evidence of an agreement that the ankle monitor was to be removed after a certain length of time, and observed that there were credible reasons to leave the monitor on for Lambus’s entire period of supervision. The search was thus not unreasonably prolonged. 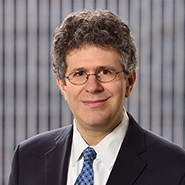 However, when faced with the suppression motion, Judge Weinstein agreed with Lambus and Fuller that suppression was warranted under the court’s inherent authority to regulate the conduct of parties before it. The Second Circuit disagreed, and it held that exclusion was not warranted under either Title III or Franks v. Delaware, 438 U.S. 154 (1978), which both provide for suppression of a wiretap when certain conditions are met. Central to the Court’s conclusion was its belief that there was no intent to mislead the authorizing court. And, in the absence of either the Title III or Franks tests being satisfied, the Second Circuit held that the district court could not rely on its inherent authority to suppress. Second, the Court considered whether suppression was appropriate under the analytical framework set forth in Franks. Franks provides that suppression is appropriate if the defendant can show “(1) that the false statement or omission was knowingly and intentionally, or with reckless disregard for the truth, included by the government in a search warrant affidavit, (2) that the information was material, and (3) that with the affidavit's false or omitted material aside, the affidavit's remaining content is insufficient to establish probable cause.” The Second Circuit held in United States v. Rajaratnam, 719 F.3d 139 (2d Cir. 2013) that Franks required the suppression of evidence obtained through a wiretap if the (i) the application contained inaccuracies or omissions as a result of “deliberate falsehood or reckless disregard of the truth, and (ii) the falsehood or omission was necessary to the finding of probable cause. Judge Weinstein found that the omission in the wiretap application was knowing and not inadvertent. Specifically, the HSI Agent testified that he only checked some of the targets for prior applications, but then signed an affidavit stating he had conducted a check for prior applications related to all the targets. Judge Weinstein termed this “perjury” and concluded that suppression was the appropriate remedy. The Second Circuit criticized the district court for failing to apply the second prong of the Franks analysis regarding materiality. Setting aside the false statement that no prior wiretap authorizations had been obtained on these targets, the “untainted portions” of the wiretap authorization set out sufficient information for a finding of probable cause, including evidence from controlled buys of drugs, surveillance, and a previously authorized search of a premises. Nor was the omission of the previous wiretap authorizations material, particularly where they were years old. “No judge would have concluded that those Previous Authorizations eliminated the need for” the new wiretap. But even if the omitted information had been material, the Second Circuit found error in Judge Weinstein’s factual finding that the HSI Agent made statements with an intent to deceive or reckless disregard for the truth. The Second Circuit found nothing in the record supporting a finding that HSI Agent’s statement was intentional, particularly where the inclusion of the omitted information would have strengthened, rather than weakened, the application. The Second Circuit noted that it “can appreciate the district court’s frustration at careless government representations that may impact the integrity of judicial decisions, especially proffers in support of ex parte applications that an adversary has no opportunity to dispute,” and acknowledged that there may be situations where suppression is necessary to preserve the integrity of the justice system. But this was not such a rare case that the invocation of the court’s inherent authority was appropriate. The distinguished district judge’s evident frustration with the government’s use of electronic surveillance—both the ankle bracelet and the wiretap—is evident from the long excerpts of its rulings that are quoted in the Second Circuit’s decision. Two years of ankle monitoring—while the government knows that the parolee is committing crimes—may seem abusive. It is also problematic that the government failed to disclose that there were multiple prior applications for wiretaps concerning overlapping target subjects, which might have been relevant (even if not material) to the district court’s assessment of the initial wiretap application. However, as the district court recognized when it stated that it was “pushing the envelope” when it suppressed the GPS evidence, the law is not currently a good fit for the intuition that some may have about the appropriate level of surveillance in a given context. Here, what doomed Lambus’s motion to suppress GPS evidence was the “parole supervision” aspect of the case. After the recent Supreme Court decision in Carpenter v. United States, 138 S. Ct. 2206 (2018), it is pretty clear that GPS monitoring for two years would not otherwise have been permitted without a warrant. As to the wiretap ruling, the decision shows that the remedies for errors in a wiretap application are subject to a demanding standard of materiality that makes it hard for the defendant to win absent falsehoods that relate to the core facts necessary to support a showing of probable cause. Without such facts, the suppression motion will more often than not be denied, as it was in Rajaratnam and this more recent decision.